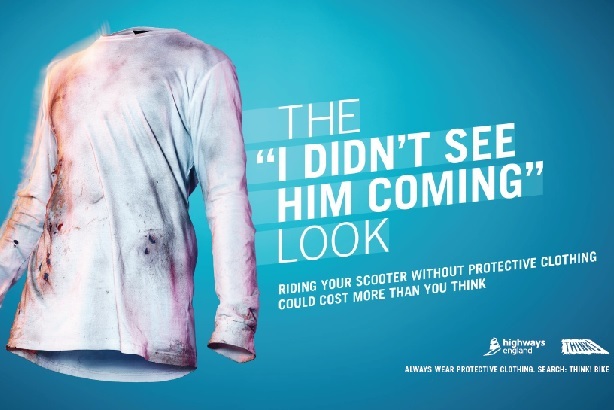 Highways England's creation of a 'fashion' brand and viral video to warn young male moped riders of the dangers of wearing non-protective clothing used a unique comms approach to great effect, generating 42 per cent campaign awareness and resulting in more than 1.5m video views. The hard-hitting campaign used live PR and social media in a bid to cut the numbers of moped riders killed or seriously injured in the South East by 40 per cent by 2020. The campaign was aimed predominantly at 17- to 22-year-old male motorcyclists who ride 300cc and below bikes to commute to work or their place of education and who are 2.5 times more likely to be injured than riders with more experience. The campaign was a response to government statistics that 5,782 motorcycle users were killed or seriously injured across Great Britain in 2016. While young riders represent just 15 per cent of all motorcyclists, they account for more than 38 per cent of casualties. The campaign's emphasis on reaching men in the South East was based on the research finding that six of the top 10 accident hotspots for bikes up to 125cc are in the region. While eschewing a preachy tone of voice often associated with road safety campaigning, Highways England nevertheless had to raise awareness of a serious and grim topic — the dangers of insufficient protection, and the need to check when filtering through traffic and at roundabouts and junctions. The campaign call to action also sought to get riders to visit Highways England's THINK! website, and vitally, encourage them to buy and wear protective clothing. The concept of creating a fashion brand with a difference was born and activity kicked off on 31 October, running until 3 December. It commenced with the opening of a pop-up shop in London's Shoreditch displaying a range of 'Distressed' labelled and styled clothing. The twist was that each garment was marked with an alternative form of price tag — the injuries and hospital treatments that bikers involved in accidents could face. The pop-up store became the campaign's nexus, designed to trigger conversations around the issue of young men wearing inappropriate attire on their scooters. The store concept and people's reactions to it were filmed to form part of a video that was shown and disseminated via live road-safety events and social media channels using the hashtag #distressedpopup. The actor who played the shopkeeper was also used at events hosted by Highways England, including at Chichester College, which was attended by media. In addition to using Facebook and Twitter, Highways England took to channels it had previously not used, employing paid-for activity on Instagram and Snapchat, while outdoor ads were placed within a 10-mile radius of accident hotspots. Highways England will not be able to compare KSI (killed and seriously injured) data until September, so is currently unable to gauge the campaign's primary effect on casualties. However, to date 'Distressed's impact on web traffic and across traditional and social media has been impressive. The THINK! bike page experienced a 340 per cent rise in unique page views during the campaign duration, compared with the same period the previous year, while it has measured a 42 per cent uplift in campaign awareness (against an industry standard of 20 per cent). It achieved 5.5m Facebook/Instagram impressions, including 1.2m video views. Out of those views, 92,655 people watched the entirety of the film. Snapchat activity resulted in 2.4m impressions and 400,000 video views (with 36,000 watching to completion). The signs are positive that the target audience is taking road safety more seriously as a result of the campaign, which was devised by ad agency George & Dragon. Paid-for activity online led to an upsurge in behavioural change, with 76 per cent saying they would be more likely to wear protective clothing having seen the ads. Meanwhile, the event at Chichester College led to nine media stories, which reached an estimated audience of 500,000 readers, viewers and listeners. Highways England is in the process of running the campaign in other parts of the country, including the Midlands, East England, the M25 region and Cornwall. 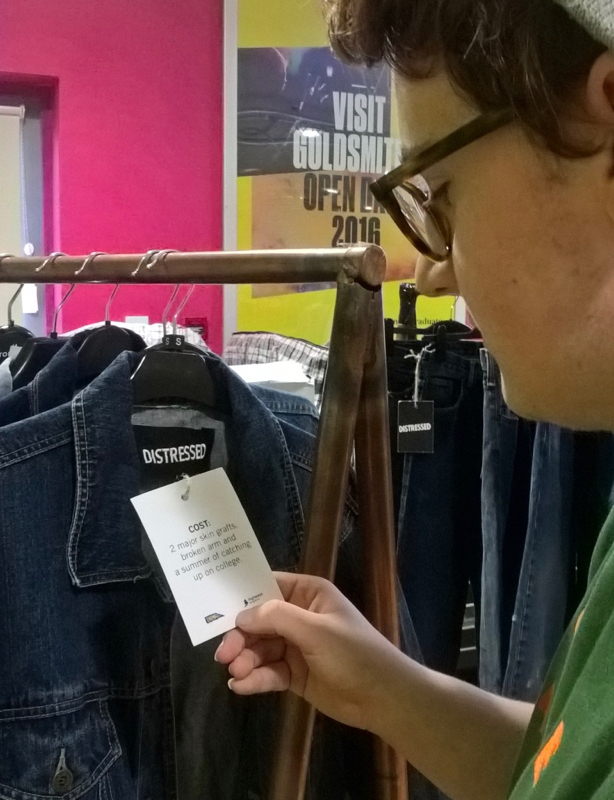 "The ‘Distressed’ campaign successfully and imaginatively connected an issue that is very important to young people – fashion – with safety," said Jon Moore, Highway England's comms business partner for safety. "Simply put, what you wear can save your life on two wheels and if you can engage a young rider to realise the significance of this life choice they are also more likely to engage with other safety messages and stop other dangerous behaviours. "With a 42 per cent campaign awareness among our target audience, we have clearly cut through the noise to deliver a message that has landed."